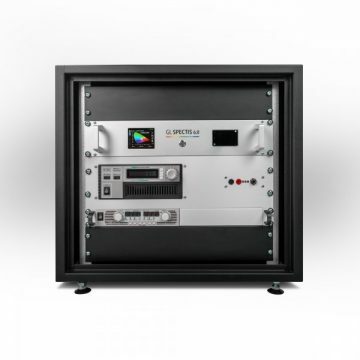 The GL Spectis 8.0 is a unique, integrated Spectroradiometer featuring a high-sensitivity back thinned, cooled Hamamatsu CCD image sensor and a revolutionary Optical Stray Light Reduction* method which brings spectral light measurement to a new higher level than ever seen before. The Spectis 8.0 is the only product on the market which uses the revolutionary OSR method / Optical Stray Light Reduction*/ , ensuring high accuracy of test results. In combination with the high sensitivity optical system integrated with the back thinned CCD image sensor, GL SPECTIS 8.0 offers many additional advantages when compared to conventional laboratory measuring devices. This unique light assessment system uses silica transmission grating delivering high resolution, increased throughput and sensitivity of the system. Additionally, cooling of the sensor allows to set longer integration times to support low signal level measurements. The perfect solution for scientific and laboratory applications. Different light sources like LED, fluorescent lamps or LCD displays require different optical probes. GL SPECTIS 8.0 can be combined with additional equipment to measure all types of light sources, displays, as well as LED light. Additional equipment is available for various measurement requirements. To achieve the extraordinary properties of its instruments, GL Optic in cooperation with world-class suppliers offers solutions which answer to the demands of professional markets. 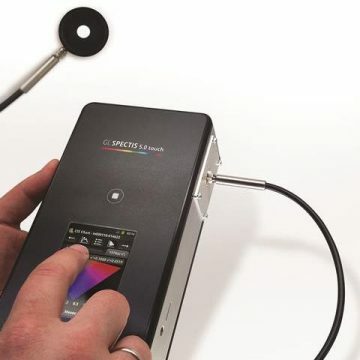 The Spectis 8.0 spectroradiometer is an ideal solution for laboratory level light assessment and can be used with any of our integrating spheres and goniometer systems for advance measurements in accordance with CIE 127:2007 and CIE 025/E:2015. The high accuracy and resolution makes it compelling choice for any LED light measurement need. The optical system of the GL SPECTIS 8.0 spectroradiometer uses the latest technology solutions available in spectroscopy. Mirror / grating / mirror spectrometer platform uses silica transmission grating and a back-thinned type CCD image sensor. The sensor and electronics are thermally stabilized and the software constantly monitors the base line level. Transmission gratings provide supreme transmission properties and high diffusion efficiency. These characteristics allow to set a very short integration time which is important in high-accuracy light source measurements and can be a crucial factor in ultra-fast production process control applications. The back-thinned type CCD Hamamatsu sensor offers very high quantum efficiency over a wide spectral range. This helps to achieve more accurate and low noise light measurements in the UV, VIS and NIR ranges. 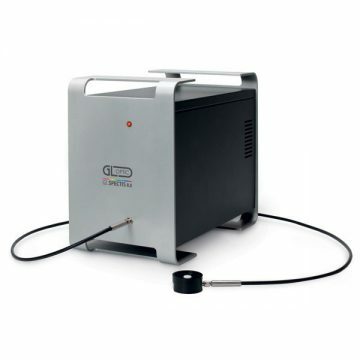 The high optical resolution of this platform makes it an ideal tool for narrow band light source measurements and fast light measurements in industry applications. An absolute spectral calibration is integrated into each spectrometer before delivery thereby enabling the accurate measurement of different absolute values such as lux, candela or lumen together with radiometric values depending on the measurement accessory installed. 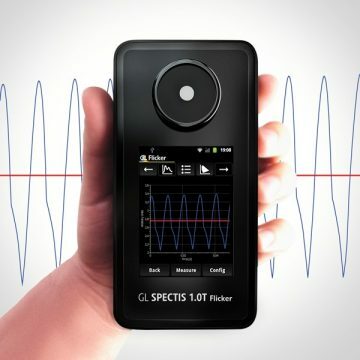 The GL Spectis 8.0 spectroradiometer is ready to provide very accurate measurements in different conditions. A temperature sensor installed on the electronic board monitors changes in temperature and automatically compensates for any change in dark current level providing excellent measurement stability.